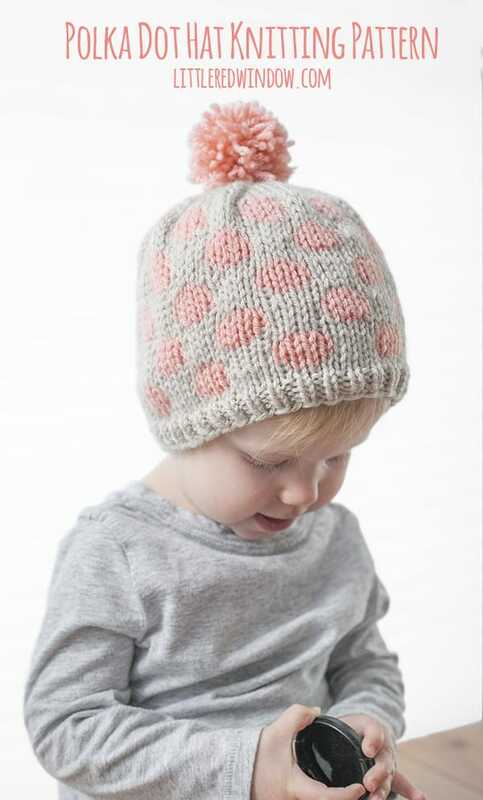 Knit up a cute and whimsical Polka Dot Hat for your baby or toddler with this easy knitting pattern! 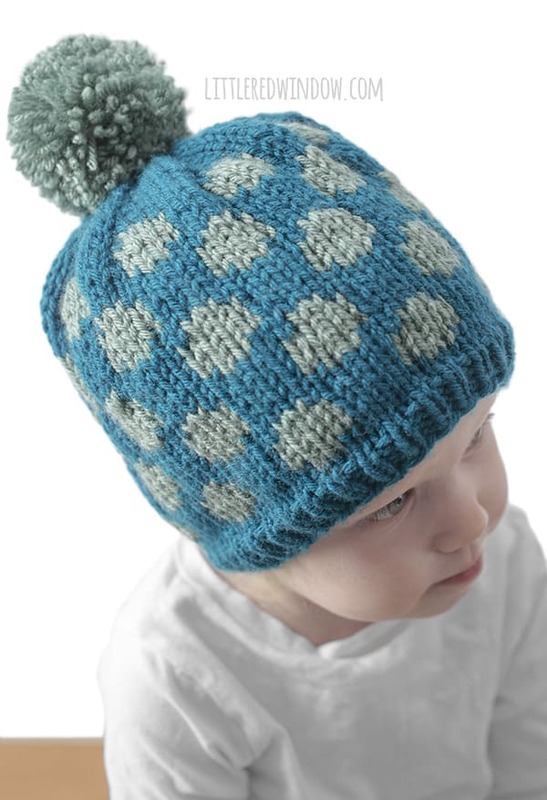 So the other day I was looking for a polka dot hat knitting pattern and I just couldn’t find a cute one. 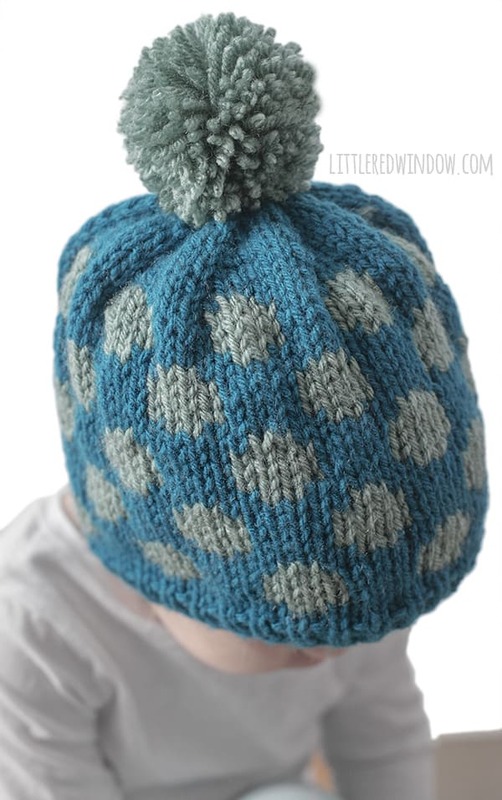 I don’t want a fancy complicated stitch, I don’t want polka dots that are sewn on, just a simple hat with big polka dots. How can there not be many options of this already?! Well, don’t worry, friends. I’ve got you covered! 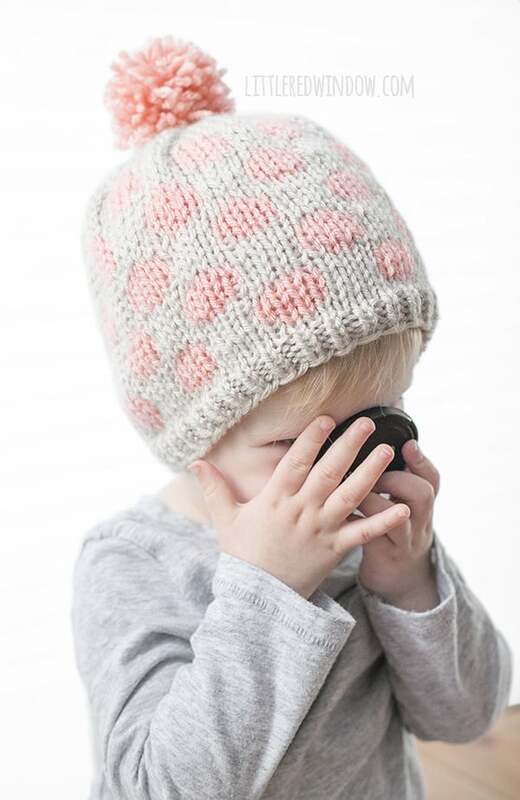 Cute Polka Dot Hat knitting pattern, check! This is a great intro to fair isle, if knitting with more than one color is new to you and it would make an adorable baby shower gift in any colors! 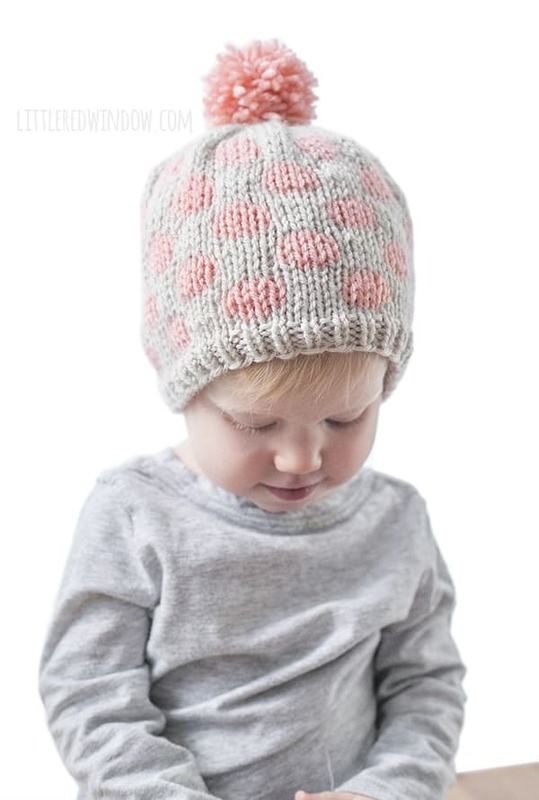 This cute polka dot hat knitting pattern is available for sale only. (I have a ton of free pattern options here!) 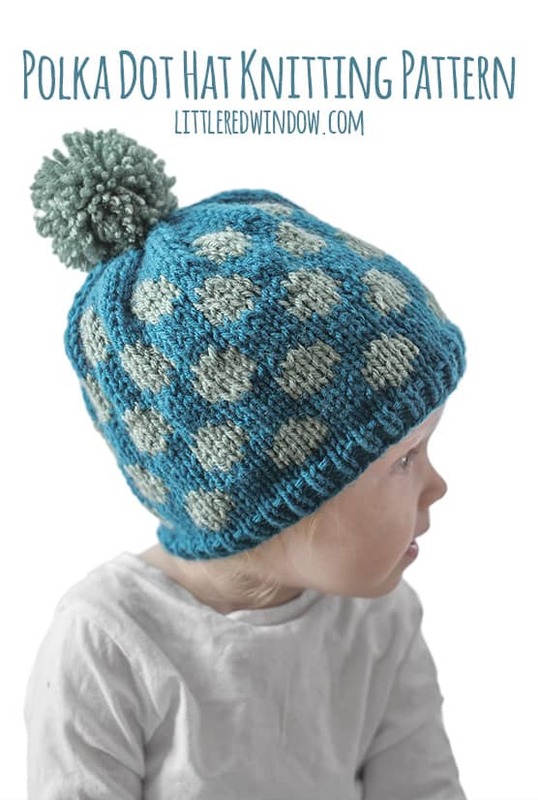 When you purchase this pattern, you’ll get an instant download PDF pattern in one nicely formatted easy-to-print page that includes written instructions and reference step by step photos which you can print (or not) depending on whether you need them. This pattern is available in my Etsy shop or on Ravelry where it will also be permanently stored in your Ravelry pattern library.